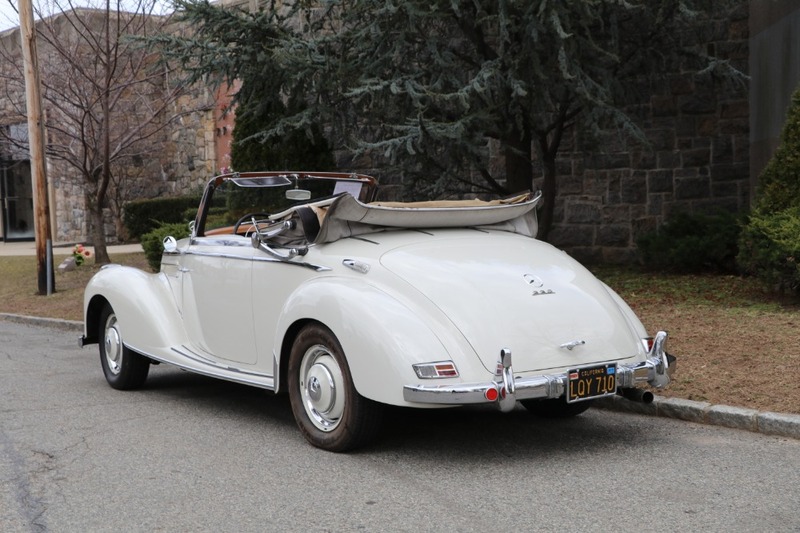 One of 1,297 Cabriolet As produced 1951 through 1955, this car is from the last year of production and is one of only 300 second series curved windshield cars built. 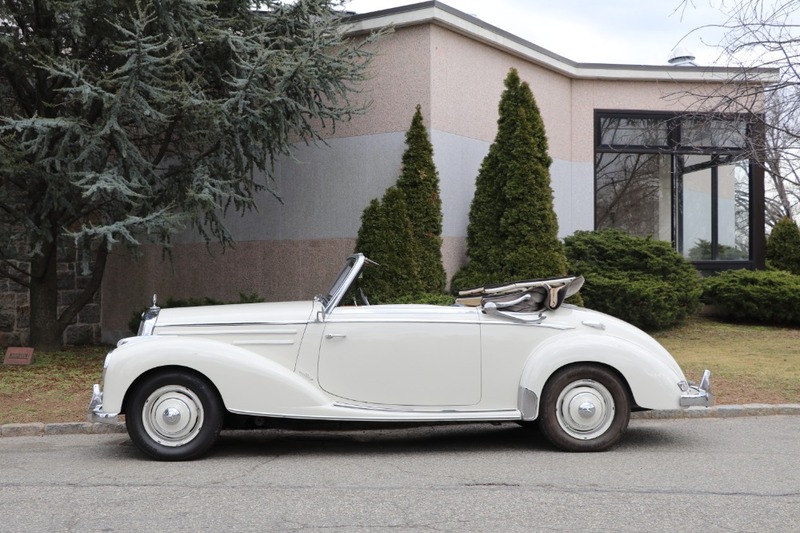 Ivory with blue leather interior, this black plate California car sports a striking style carried over from pre-war Mercedes. 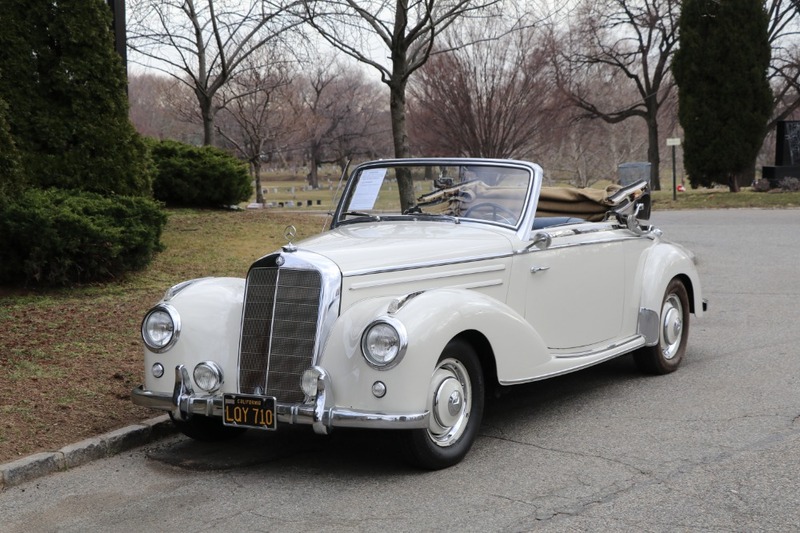 While 220 Sedans were produced on assembly lines, these low volume Cabriolets were primarily hand built. 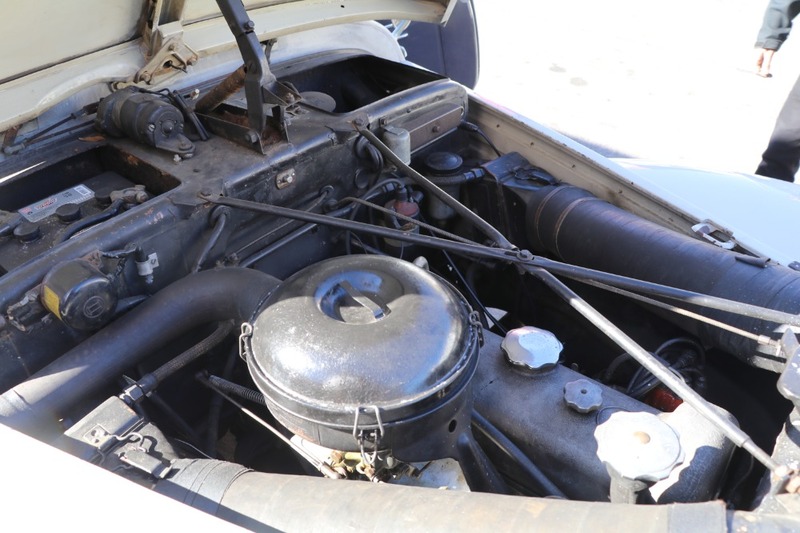 This particular example comes accompanied by Factory luggage, original manuals, and Mercedes Certificate. 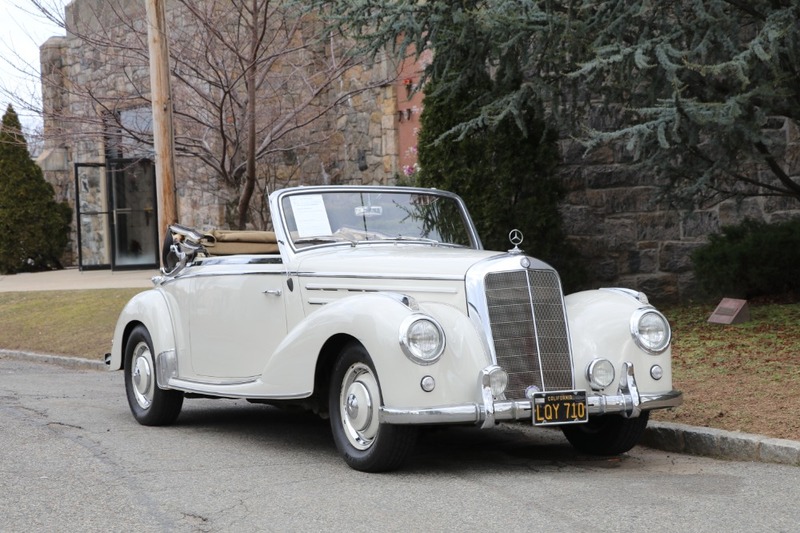 A three owner car from new, this 220A Cabriolet was purchased new in Hollywood at Mercedes-Benz on Sunset Blvd as a wedding gift to a young couple from the Brides parents. After she become discouraged by the increasing Freeway traffic in LA, the car was put away in garage storage sometime in the mid 1960s. It would stay there until 1986 when it was brought out and serviced by Mercedes. Shortly thereafter the car was sold to a retired dentist in San Diego. The car remained under his ownership until it was sold to the previous owner in 2008. 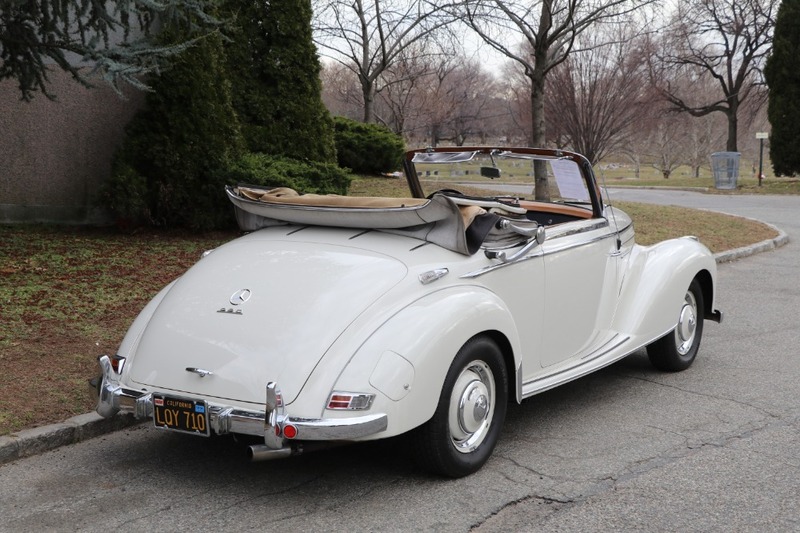 The car is an original survivor that remains in wonderful condition for its age. All the small details remain undisturbed and are in very good condition. Doors and all panels line up as Factory spec. Paint is mostly original; although some panels show evidence of older lacquer respray that has aged consistently with the rest of the car. 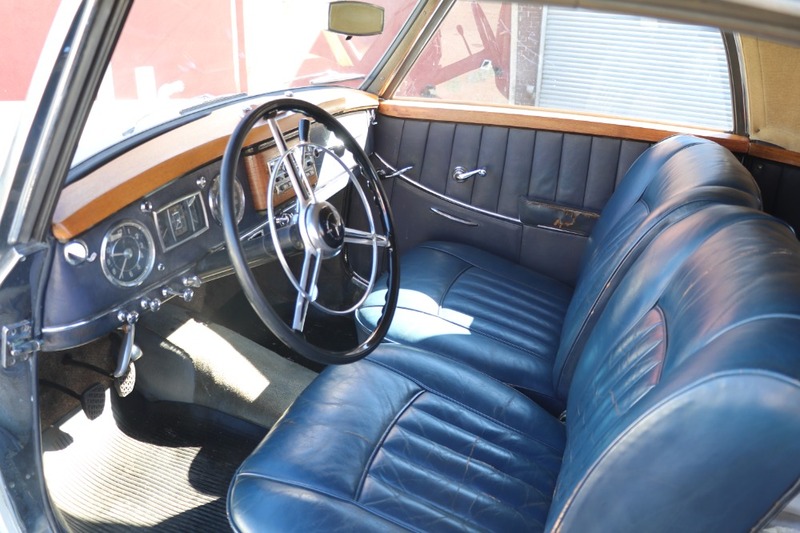 Interior is original as well as the top. Overall the car shows well but has the patina expected for its age. 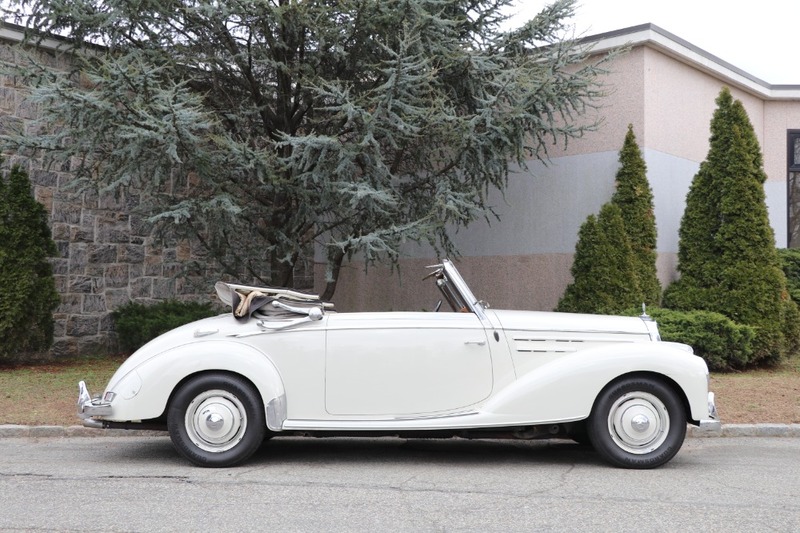 A rare and exciting opportunity to own a wonderfully original final year 220A Cabriolet.